To Summer Sunday School? or Not to Summer Sunday School? Your musings and advice welcome via 'reply' to this post. It's time to get over the debate about whether or not Sunday School should continue during the summer. Summer Sunday School is a good thing, but it is also okay to take a break. Even the pastor takes a vacation, you know? And Jesus himself had to get away from the crowds. The concept of "Sabbath" and "seasons" are just as scriptural as the importance of making Bible study a regular habit. I know there are many in the church who think it is "wrong" to take a summer break from Sunday School. I admire their passion and I used to feel the same way! ...But the longer I've worked in CE, the more I've come to realize there are many ways to do things right, and quantity of classes is not the same as quality. Often the strongest voices "for" summer Sunday School comes from paid CE staff and pastors, ...in addition to publisher . I have led CE programs as full-time and part-time staff person, and as an unpaid volunteer. I've done it in large churches and in small. Especially in those smaller churches with little or no CE staff, I can vouch for the wisdom of volunteers and programs needing a break during the summer, and the kids being no worse off for it. If your Sunday School runs (well) through the entire summer, is well-attended and well-taught (not "church lite") then God Bless You and keep on keepin' on. and can consume people, planning and resources that could be used to do other things. In my small-ish church, we don't schedule Sunday School during July and August. Instead, we plan other types of get-togethers at other times during those months. (1) As Rotation folks, we've learned to be flexible. And this year we wanted to teach in June because we have this great idea for outdoor lessons around our small lake. We are also a Rotation Sunday School, so our rooms and lessons are exciting all year round, and we don't need to "energize" our teaching methods with VBS like a traditional program might need to. What we need is something "different," as well as, a break. 1. Leadership. Small churches with little or no paid help and fewer volunteers often need more of a "break" than larger churches. That said, even paid leaders in the large church need a sabbatical. For example: A large church with 12 kids per class during the fall can still hold a viable class for 4 or 5 kids during the summer. Whereas, a small church with 4 kids in a class has a problem justifying the effort for 1 or 2 kids. (1) You create space for volunteers to relax and regenerate. (2) You create space that makes you want to fill it with something different. (3) You create space for other teams in the church to fill-in. On the planning calendar at my church, we incorporate "breathing spaces" to achieve all of the above. (1) You have awesome plans and leadership. (2) You won't just be "holding down the fort" with a skeletal staff and underwhelming attendance. (3) You won't be filling the summer with "lite" lessons. (4) Your amazing adult ed program wants to continue, and the parents of your children want to attend those "can't miss" studies, and thus, need classes for their kids. Try the thing you think you don't need or won't work. If you think you don't need a break, schedule one, -that is: come up with something different. If you think you can't pull off Summer Sunday School, try it, but with a new spirit of creativity. A personal experience with "trying the thing some didn't think would work"
Many years ago as an unpaid Christian educators in a small church, I was told "we don't have summer Sunday School because the families won't support it." We had about 15 kids on the roll. I said, "let me organize and help teach it, and give the regular teachers a rest." We instituted some rotation-model style lessons and rooms, --and we averaged 12 kids every Sunday! They liked it so much that they adopted the Rotation Model that fall. We called it "Camp Bible Wahoo" and the lessons are here at rotation.org. In my current church where I am paid staff, we already do Rotation, and take a break from that in July and August. Historically speaking, in many churches VBS was the "substitute for Summer Sunday School," and in many, the antidote for 9 months of boring Sunday School. As a "substitute" for or break from summer Sunday School, VBS is a pretty good idea. Planning a VBS, in addition to your summer Sunday School, is a big commitment of volunteers and effort that many churches can't support, and frankly, probably don't need. Simply put, big glitzy events look good to some, but aren't always great ministry. Lingering out in the church is this romantic notion that VBS is great "evangelism," and "attracts new families." I hope this was true for your VBS program, but for the rest of us, the statistics don't lie. Most of the kids who came through VBS programs over the last 3 decades didn't come back to church as adults. It was "feel good" programming, that may have done some good things, but who's cost vs benefits can seriously be questioned. VBS is a BIG DEAL for many churches in terms of money, volunteers, and stress. Whereas, there may be other less stressful ways to achieve the benefits we are praying for. I have weighed the cost in volunteers, earth-moving effort, cash, staff stress, and the nominal effect on attracting new members, -and have decided to encourage churches where I've served to consider doing something different than the traditional VBS. I've gravitated towards a more "family-ministry-like" summer program, taking a break from our terrific Sunday School and for-going the annual VBS juggernaut in favor of more low-key fellowship style meetings throughout the summer. For example: a cookout with games, songs, and a fun Bible lesson. Not as glitzy as VBS, but summer is a great time for families to come together. Easier to plan and lead than VBS, and less expensive. Values and encourages parents to be part of their childrens' spiritual education. Invites older members to participate without having to lead. And unlike your "one week only VBS," I can schedule a few of these family-centered events throughout the summer so that they are hard to avoid! Our regular creative Sunday School workshops bear a STRONG RESEMBLANCE to the creative methods and environments most VBS' strive for. In fact, in the early days of the Rotation Model's development, some people called it the "Vacation Bible School model." 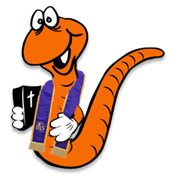 Thus, if you have a really creative Rotation Sunday School, you may need something VERY different or more laid back than a traditional razz-a-ma-tazz VBS. That was the point of VBS -to offer something very attractive and creative which Sunday morning didn't bother to do. But Rotation Model did transform boring Sunday School, so what should a Rotation church being doing that will be markedly different during the summer? Again, the answer for me has been looking at ways to bring families together, rather than creating just another creative way to separate kids from their parents and the rest of the congregation. Whatever you are doing, don't be afraid to ask some hard questions, even if you have been doing it a long time with apparent "success." Or is it "just work" ? I started off this article by saying that there are many right ways, not just one. I hope this helps you discover what's right for your church. Neil is a Presbyterian minister, church educator, and long time contributor to Rotation.org's resources and ongoing discussions. cbepsteinRotation.org Legend (500+ pts) a Supporting Member! Thank you! We are struggling with this right now. Our teachers need a break, but the parents won't come to church in the summer if there isnt anything for their kids. The parents LOVE the program we do during the year. We are looking for College Students that are interested in teaching the kids on Sundays over the summer. I need the summer break so that I can energize and plan for the fall. Thank you! We are struggling with this right now. Our teachers need a break, butthe parents won't come to church in the summer if there isnt anything for their kids. The parents LOVE the program we do during the year. We are looking for College Students that are interested in teaching the kids on Sundays over the summer. I need the summer break so that I can energize and plan for the fall. Parents who LOVE the program during the year. Parents who want something for their kids during the summer. If this were happening in my church, I would kick the issue "upstairs" to the pastor and other leaders with a few suggestions -as it's not entirely your problem to solve (unless you're paid staff). Suggestions: Invite all the families to a cookout now and get out the calendar to divide up "who's going to take which week." (Nothing like dates on a calendar to move people to action.) Empty slots can be filled by college students working with "that teacher" who would love to do a week or two with a college student helping them." Who knows, this approach might just help you discover new volunteers. Thanks! And, no, I am not paid staff! (My job is VERY rewarding, just not with money! I agree that it is important, but hard, to take a break during the summer! We started Sunday school in March of this year with a purchased curriculum and two broad age groups (3 year olds - kindergarten and 1st to 5th grade --- we have one fifth grader in the church and there was nothing for her before that, as children's church during worship ends after second grade). Average attendance 3.4 and 3.8 per week, respectively. I hope to use this time off to regroup and evaluate, as the teacher and I aren't pleased with the curriculum we were using for the older group. I am hoping to find a way to make rotation work for us with our small space and small group, but need to bring some more people on board. And that will take energy that I don't want to spend preparing weekly Sunday school lessons for preschoolers all summer. Love all the encouraging ideas here about ways to have summer programming without the VBS production! We are blessed with space - one large room for used for movies, storytelling and computers, as well as a gym, good sized kitchen and a dedicated art room space. We average 12 kids on a Sunday from ages 4-7th grade. We have all the kids in one group due to the lack of volunteers, but it does work. (We used to have 2 groups). The issue comes down to volunteers. We have great volunteers, but it's the same people who volunteer for lots of other things also. (Nursery, coffee hour, etc) That's why we all need a break. We also have some parents who will not help with our children's ministry. They need us so THEY can have a break. If all of our parents helped out, we could run a great program over the summer. However, I understand that there are people who are not comfortable teaching in Children's Ministry - it's not their gift. (These parents do help in other areas) I know that many churches face similar challenges. re: "Have any of you found a summer curriculum that..."
And isn't boring for the kids? And also meets your initial post's issue of "not a lot of volunteers." I don't know the details of your church, (or your personally), but I do recognize the impulse to "want-it-all." But I think you stated the BIGGER issue when you wrote: "--we all need a break." So the question to me iswhy don't you take one? We always talk about the need to model good behavior and spiritual practices to our children. "Sabbath" is one of those practices. It may also be just the thing to bring volunteers back -knowing they aren't going to be sucked into an over-demanding program with unrealistic expectations (for the current situation).